Wonderful post. 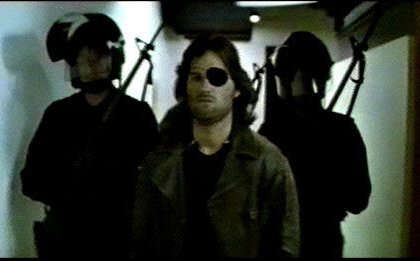 Escape from New York practically invented sci-fi noir (or noir science fiction), which is exactly the amalgam Noir Fusion you mentioned. And it has the jump on Blade Runner (probably the most famous example of sci-fi noir) by a whole year. I think part of the noir aesthetic is due to Carpenter’s budget which, although the highest of any of his film up till that point, was still ridiculously low for a science fiction epic action/adventure film of this sort. Following in the tradition of form following function that so many B & C-grade noirs had to. 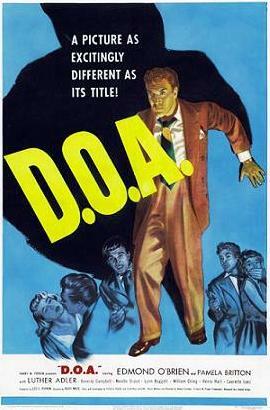 You’re right on the money with the comparison to Mike Hammer, as played by Ralph Meeker, as a guy who doesn’t give a toss and seems to have a hefty reserve of scorn and distaste for anyone and everyone. Carpenter has said Eastwood’s Man With No Name was the model, and although I can see that in Russell’s performance (that voice! ), Meeker/Hammer is much more the noir model–certainly more than Widmark’s hysteria or Bogie, who, although usually a tough, cool customer, was prone to little explosions of violence. 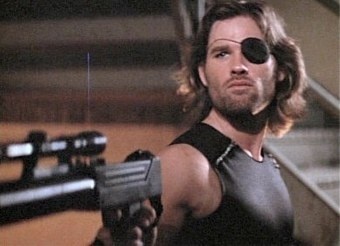 Snake Plissken never loses his cool. Thank you so very much! This was so much fun to write about! I love this film. And you are 100% right about the budget issue. It’s funny because on the commentary track, Carpenter and Russell muse about how much they wish that they could make another picture together with a tight budget like this, as it seems to turn out the greatest product. I couldn’t agree more! when they said that, all I could think of was the Anthony Mann/John Alton pictures and how excellent those were! And something like Detour! I mean, really! No money, no time, EXCELLENT work! I mentioned Bogey & Widmark as the character models, really. Not how they actually played them, but I think you get that, seeing as you got what I was saying about Hammer/Meeker. I appreciate your comments a lot! It’s my pleasure. 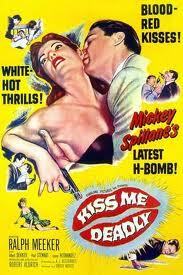 I came across your blog via the Love of Film (Noir) Blogathon and fell right away. Your writing is sort of everything I want to be. You’ve got a new reader for life! Wow! That is one of the nicest compliments I have ever received! Cheers! I do hope I can live up to your expectations!! Just a minor detail that you might have missed, Snake wasn’t arrested because of Brain. 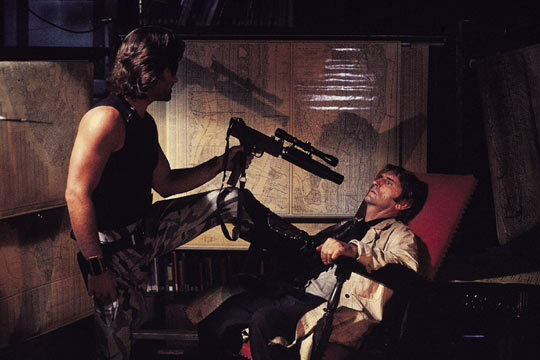 The police caught Snake because he tried to save his army pal and accomplice, Taylor during the deleted robbery sequence. What he’s describing during the confrontational in the library is another heist in Kansas City that took place four years prior to Plissken and Taylor stealing the credit cards. Brain betrayed Snake and another partner in crime, “Fresno Bob”. 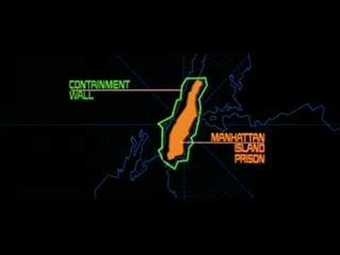 Snake escaped, Bob didn’t and Brain was subsequently arrested anyway and sent to Manhattan. Karma eh? 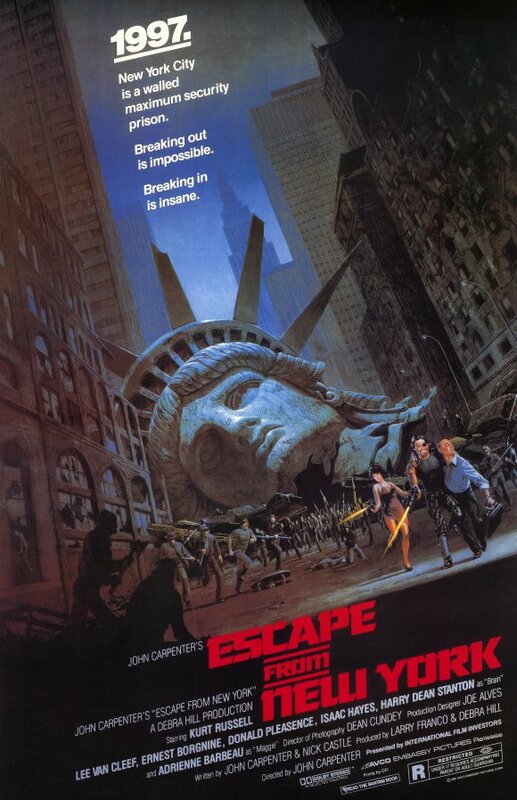 What did you think of Escape From LA? That too had a noir feel as it took place completely at night.